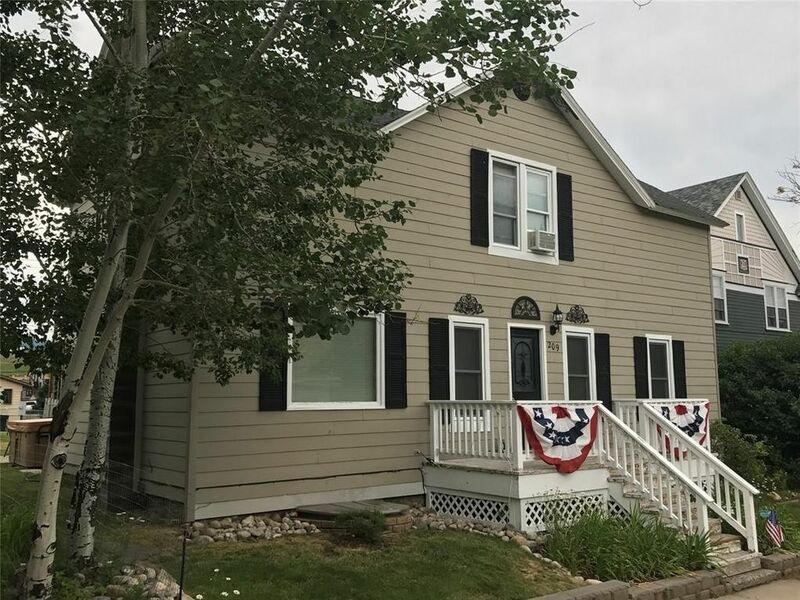 A charming, Victorian-style home conveniently located just two blocks from historic downtown Red Lodge and across the street from Rock Creek. It is an easy walk to shopping, restaurants and activities. The gingerbread accents on the home make for a handsome exterior. This former Miner's boarding house, built in 1895, retains much of its quaint charm. Enjoy the back patio with its mountain views or read a book on the front porch while listening to nearby Rock Creek. This multi-level home is designed to allow families to spend time together or enjoy privacy. There is 1 full and (2) 3/4 baths.